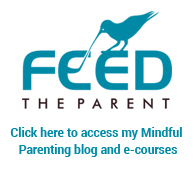 This blog is for those of you who help people, either for work or in an unpaid capacity – so that also includes parents, grandparents, carers, volunteers or activists. Now we don’t always have a choice in the helping and caring that we do – e.g. you can’t always quit your job, or stop caring for your sick parent or raising your child. But it’s always possible to check out what we are doing to make sure it’s sustainable and we’re not “over-helping” and burning ourselves out. Mindfulness is a powerful tool to see deeply into what we’re doing in our lives and realise if it’s just not working for us and things need to change. This is so much better than unconsciously pressing ahead and just wearing ourselves out. Here are some mindfulness-based tools to assess if you’re getting depleted and need to make some changes to the way you’re helping people at work or in your life. Step 1: Sit down and meditate with eyes closed – relax while focusing on your breathing. Step 2: Once you are settled, bring to mind your work – visualise yourself helping someone at work. Or if you’re a parent, it’s your child; if you’re a carer it’s your patient. Picture yourself with them, helping them do something. Step 3: Now feel into your body: what’s the first feeling or emotion that comes into your body and mind? Is it an energising feeling: love, satisfaction, fulfilment, joy, excitement, contentment, affection? Or is it a depleting (energy-sapping) feeling: tension, worry, fear, heaviness, trapped, angry, stressed? It’s possible that there will be some of both types, but see if you can notice the strongest feeling. Is the strongest feeling an energising feeling or a depleting feeling? This information is crucial to tell us if we are getting depleted – which can lead to burn-out – and where we need to make changes so we can become energetic and positive about our work. The changes might involve leaving our job – or simply just tweaking the way we do things to get a shift towards energising feelings and fewer depleting experiences. WHAT CAN YOU DO IF YOUR ROLE IS DEPLETING YOU? Not allowing enough time for themselves is the most common reason people feel depleted and get burned out. You must make time for things that ‘fill your cup’ and give you energy or you won’t be able to keep doing your important work. Take regular daily time away from your role to do something energising or relaxing – everyday things like meditation, walking in nature, exercise or reading for pleasure. Schedule occasional longer chunks of time away from your role – also known as holidays! A trip away is an obvious one, but doing a retreat or a week-long course about your hobby are other good options. This may sound obvious stuff but let me ask you this: have you taken at least 4 weeks holiday in the past year totally away from your job? Or have you taken even a long weekend away from your role as carer or parent? Often the reason we feel depleted by our job is that we take on too much or take on things outside our role – because we have not learnt to say NO! When we are asked to do something extra to our role, we say yes because, by nature, we want to help people; or we want to perform well at work; or we think that only we can do it. But we soon find ourselves over-working and stressed about our to-do list. If this sounds familiar, you need to look closely at what you are doing at work and see if you can drop some of it. Closely related to this is the habit of perfectionism, where people do way too much out of a desire to ensure everything is “just right”. At work this can involve endless admin and extra tasks. As a parent or carer this leads to endless housework trying to be the perfect cook/housekeeper/ entertainer and more. A recipe for exhaustion. It’s not possible for everything to be perfectly done – and it’s not worth trying! So start sifting between what’s essential to do and what just doesn’t matter – and stop doing the latter! The reason that most of us helpers are in our roles is that we’re idealistic enough to think we can and should make the world a better place. And we have the compassion for others or for the planet that motivates us to make a difference. Thank goodness for people like us or the world would be a very dark place! But the challenge for us is that our desire to help all the suffering people and endangered species drives us to work way more than is sustainable for us. The supply of problems to fix is incredibly much larger than our capacity to fix them. So we need to draw the line somewhere – preferably at 5pm when the work day ends. I know this because, as mentioned, in my 20s I tried to save the planet single-handedly and just wore myself out trying! It’s a recipe for burn out. Instead, it’s super-important to celebrate what positive difference you have made – recognise what you have achieved and how many people you have helped. A final note – helping others is a really important basis for human happiness so it’s great that we do our caring work. Plenty of research shows that the happiest people on the planet are those who are helping others. One of my favourite documentaries, Happy, takes us on a global journey to work out what makes people happy and concludes exactly this. I highly recommend watching this beautiful film! So mindfulness is also a great tool to check whether we are not helping others enough – when you meditate and then reflect on how you spend your life, do you feel like you are making a positive contribution to the world? Could you be helping others more than you currently do? If that’s you, think of some opportunities to help others, whether it’s your family or neighbours, or community volunteer work. Helping more is a change you could easily make to improve both your own life and others’ lives. Posted in Uncategorized and tagged burn out, meditation, mindfulness for the helping professions.